We can also give you a quote over the phone. We also install other CCTV packages with different specifications to meet with your individual requirements. All our systems have a full year’s guarantee. 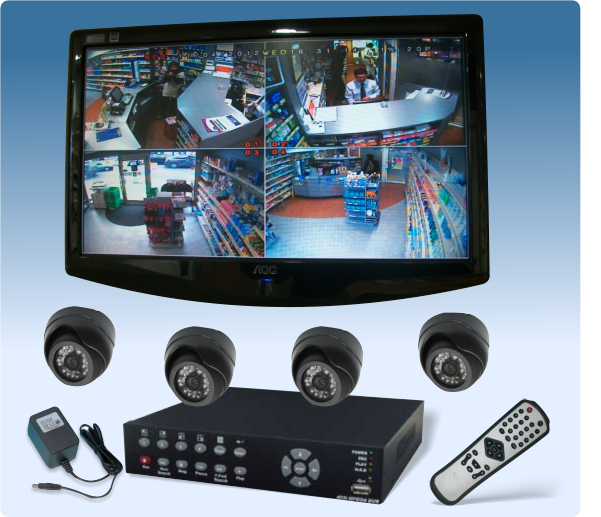 We install CCTV Systems for both Commercial and Residential premises. The above System incorporates the facility for viewing remotely on your PC, iPhone or iPad. You can also record, playback and back up remotely. Please note that to benefit from this facility you will need to have internet access at both ends. The above system supplied & fitted for only £690.00 !